This article is part of the branches of CAM series. Naturopathic medicine (also known as naturopathy) is a school of medical philosophy and practice that seeks to improve health and treat disease chiefly by assisting the body's innate capacity to recover from illness and injury. Naturopathic practice may include a broad array of different modalities, including manual therapy, hydrotherapy, herbalism, acupuncture, counseling, environmental medicine, aromatherapy, whole foods, cell salts, and so on. Practitioners tend to emphasize a holistic approach to patient care. Among the core principles of naturopathic medicine are a recognition of the healing power of nature; identifying and treating root causes (including mental, emotional and spiritual as well as physical); treating the whole person (including the spirit/soul and mind as well as the body); the responsibility of the patient; and a focus on prevention (including fostering healthy lifestyles, beliefs, and relationships). Naturopathy has its origins in the United States, with roots from Europe, but is today practiced in many countries around the world in one form or another, where it is subject to different standards of regulation and levels of acceptance. 1.1 "The healing power of nature"
1.2 "Identify and treat the cause"
1.3 "First do no harm"
1.4 "Treat the whole person"
1.5 "The physician as teacher"
Naturopathic practitioners prefer not to use invasive surgery, or most synthetic drugs, preferring "natural" remedies, i.e., relatively unprocessed or whole medications, such as herbs and foods, as well as vitamins, exercise, and heat to assist the natural healing process. Licensed physicians from accredited schools are trained to use diagnostic tests such as imaging and blood tests before deciding upon the full course of treatment. Naturopathic practitioners also employ the use of prescription medications and surgery when necessary and refer patients to other medical practitioners. "Identify and treat the cause"
The healing power of nature (vis medicatrix naturae), has two aspects. First, the body has the ability to heal itself and it is the naturopathic doctor's role to facilitate this natural process. Second, nature heals. Following this principle includes getting enough sleep, exercising, feeding the body nutritional food, and, if needed, additional earth foods, such as herbs, or algae (a living organism). It is asserted, yet strongly refuted by critics, that plants can gently move the body into health without the side effects posed by some synthetic chemicals in modern pharmaceuticals. The underlying root causes of disease must be removed for complete healing to take place (tolle causam). These root causes can exist at many levels: physical, mental, emotional, and spiritual. It is the naturopathic doctor's ostensible role to identify this root cause and, in addition, to alleviate suffering by treating symptoms. The process of healing includes the manifestations of symptoms, so that any therapy that interferes with this natural healing process by masking symptoms is considered suppressive and should be avoided (primum non nocere). The natural life force of the individual should be supported to facilitate healing. A core tenet of naturopathy is the belief that health must go beyond treatment of immediate symptoms (as with medicine), and instead treat the entire person's well being. That means treating the entire body, as well as the spirit/soul and mind. This approach is usually called the wholistic or holistic method. It is the role of the naturopath to educate an individual in their practices and encourage that individual to "take responsibility for their own health" (docere). This cooperative relationship between doctor and patient is essential to healing. The ultimate goal of the naturopathic physician is prevention. The emphasis is on building health, not fighting illness. This is done by fostering healthy lifestyles, healthy beliefs, and healthy relationships. The term naturopathy was coined before 1900 by John Scheel, combining the two streams of health treatment, nature cure and homeopathy. The term was used by Benedict Lust (a German name pronounced "loost"), who founded the American School of Naturopathy in New York in 1905. Lust had been schooled in hydrotherapy and other natural health practices in Germany by Father Sebastian Kneipp, who sent Lust to the United States to propagate Kneipp's methods. The American School of Naturopathy was the first naturopathic college in the United States. Lust took great strides in promoting the profession, culminating in the passage of licensing laws in several states prior to 1935, including Arizona, California, Connecticut, Hawaii, Oregon, and Washington and the founding of several naturopathic colleges (Weil 1983). Naturopathic medicine went into decline, along with most other natural health professions, after the 1930s, with the discovery of penicillin and the advent of synthetic drugs, notably antibiotics and corticosteroids (such as cortisone in 1949). Contributing facts in the post-war era were Lust's death, conflict between various schools of natural medicine (homeopathy, eclectics, physio-medicalism, herbalism, naturopathy, etc. ), the rise of medical technology, and the consolidation of political power in conventional medicine. In 1910, when the Carnegie Foundation for the Advancement of Teaching published the Flexner Report, which criticized many aspects of medical education in various institutions (natural and conventional), it was mostly seen as an attack on low-quality natural medicine education. It caused many such programs to shut down and contributed to the popularity of conventional medicine. Naturopathic medicine never completely ceased to exist, however, as there were always a few states in which licensing laws existed—though at one point there were virtually no schools. One of the most visible steps towards the profession's modern renewal was the opening in 1956 of the National College of Naturopathic Medicine in Portland, Oregon. This was the first of the modern naturopathic medical schools offering four-year naturopathic medical training with the intention of integrating mainstream science and naturopathic principles and practice. Naturopathy or Nature Cure has another stream that started in India in the 1900s. It was popularized by Mahatma Gandhi (Indianetzone 2007). He adopted and popularized this system because it was cheap and adaptable to the Indian soil. It also traced its roots to references in the Vedas and other ancient texts (Indianetzone 2007). The system grew in popularity towards the close of the 1900s, and today there are two streams of naturopaths in India. The first are graduates of All India Naturopathy Council and are awarded DNYS (Diploma in Naturopathy and Yogic Sciences) after three years of guided study and internship. The second are university graduates who are awarded BNYS (Bachelor of Naturopathy and Yogic Sciences). BNYS is a four and half year course with a one-year internship. The BNYS course is offered by S. D. M. College of Naturopathy and Yogic Sciences, which is the first college in India to offer a five-year degree course in Naturopathy and Yogic Sciences. The college was first part of the University of Mangalore from 1989 to 2000, but later was shifted to Rajive Gandhi University of Health Science, Banglore after the formation of a health university. Another college that offers degree courses is the Government Gandhi Nature Cure College, Hyderabad, India, which is affiliated with NTR University of Health Sciences, J. S. S. Institute of Naturopathy and Yogic Sciences, under T. N. M. G. R. Medical University. A lot of colleges have since been developed in India. Naturopathy is very popular in India, and there are numerous naturopathy hospitals in the country. There are also many doctors trained in the Western system of medicine who have acquired naturopathy degrees so as to integrate the insights gained into their system of practice. The Indian stream of naturopathy differs from the Western stream in many ways, particularly in their emphasis of strict vegetarianism and yoga. Naturopathic physicians in the United States are independent providers with training in conventional medical sciences, diagnosis, and treatment, as well as natural therapeutics with licenses or registration granted by an individual state's Naturopathic Board of Medical Examiners. They graduate from four-year nationally accredited naturopathic medical graduate schools. Naturopathic physicians' training with respect to modalities is different from traditional naturopaths, with a focus on nutrition, botanical medicine, homeopathy, hydrotherapy, joint manipulation, manipulative therapy, pharmacology, and minor surgery. Some naturopathic physicians have additional training in the following: natural childbirth, acupuncture, and Chinese medicine. These subspecialties often involve additional years of study. Naturopathic physicians are required to attend continuing education yearly in order to maintain and renew their license. Naturopathic physicians bridge both conventional and non-conventional treatment, and work in cooperation with both conventional and alternative practitioners to provide patients with complete medical care. Naturopathic physicians are able to identify and prescribe appropriate treatment, including referral to conventional medical doctors. Naturopathic physicians are licensed in various states in the United States and in Canadian provinces. For licensure, candidates must have a Doctor of Naturopathic Medicine (abbreviated as N.D. or less commonly N.M.D.) or Doctor of Naturopathy (abbreviated as N.D.) from an accredited institution in the U.S. or Canada and pass licensing board examinations. The abbreviation N.D. can also denote the professional title and status Naturopathic Doctor that is conferred by the licensing body in the state or province. In contrast, the "degree" Doctor of Natural Medicine (abbreviated D.N.M.) does not qualify for licensure as a naturopathic physician and carries no regulatory status in the U.S. or Canada. Vis medicatrix naturae, or the healing power of nature, is the central tenet of Traditional Naturopathy. The view is that bacteria and viruses, which are always present, seldom cause problems in a healthy body. According to naturopathic practice, disease occurs when toxins that have accumulated internally—often due to incorrect lifestyle, a poor diet, and improper care of the body—weaken a person. While conventional medical treatments may rid the body of symptoms, these treatments alone do not bring about true healing. Rather than trying to attack specific symptoms and diseases, Traditional Naturopathy offers a holistic approach to the individual that supports the body in finding its way back to homeostasis. Traditional Naturopathy is not a medical practice. While prescribing drugs and pharmaceuticals, performing surgery, and other invasive procedures clearly have their place in the hands of properly trained medical doctors, these practices are outside the scope of Traditional Naturopathy and are at odds with its fundamental principles. Instead, Traditional Naturopaths focus on educating clients to lead healthier lives and on the use of naturopathic modalities such as light, water, herbs, healthy foods, and exercise to cleanse and strengthen the body and support its natural healing process. Traditional Naturopaths receive training from correspondence schools, or they receive their training from other practitioners. None of the schools that award degrees to Traditional Naturopaths are accredited by the U.S. Department of Education. Traditional Naturopaths are individuals who are not regulated by a licensing board. In the United States, both naturopathic physicians and traditional naturopaths use the degree designation of N.D. (Doctor of Naturopathic Medicine), leading to considerable confusion about the scope of practice, education, and training of a naturopathic practitioner. (In the United Kingdom, N.D. stands for Diploma in Naturopathy.) There is great contention between the two factions as their political agendas are in opposition to each other: Naturopathic physicians, whose national professional organization is the American Association of Naturopathic Physicians, strive to secure licensure in all 50 states, whereas traditional naturopaths, whose professional organization is the American Naturopathic Medical Association, oppose licensure and often block licensing attempts. 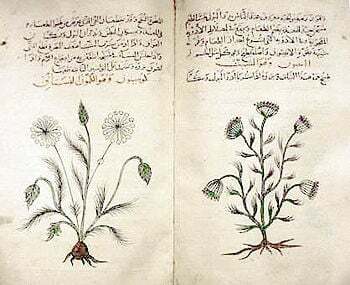 Dioscorides’ Materia Medica, copy in Arabic c. 1334, describes medicinal features of cumin and dill. There is widespread support for the application of an evidence-based medicine framework to assess health outcomes, and that systematic reviews with strict protocols are essential. There are reports of evidence-based medicine trials published for naturopathy (Bastyr 2007). Organizations such as the Cochrane Collaboration and Bandolier publish such reviews. Some modalities used in naturopathy are widely regarded as pseudoscience. Medical doctors often cite the large differences between naturopathic practitioners and the lack of scientific documentation as to the safety and efficacy of their practices in order to justify limiting naturopathic scope. Advocates claim that naturopathic practitioners find it difficult to obtain financing for research due to the lack of prior research in many areas. Proponents state that this is slowly changing as naturopathic physicians develop research programs to help build up a foundation for evidence-based treatment. Conventional medicine is required to undergo rigorous testing; drug trials often last for a decade. A criticism of alternative therapies is that they are not subject to detailed safety assessment. Retrospective analysis of various herbal agents have found many to be of little therapeutic value and others to be harmful. This can be tied to the fact that "natural" does not necessarily correspond to being beneficial or even benign. Also of concern is the ambiguity of the word "natural" and poor agreement as to its meaning. While the above addresses a primary challenge to the validation process for "natural" remedies, perhaps of greater concern among critics is the lack of regulation of manufacturer claims in advertising. Common labeling practices suggest that herbal extracts are devoid of "drugs" or "chemicals." Claims of this type are patently false as every component of any plant extract is a chemical by definition. Likewise, claims as to the relative absence of toxicity in herbal extracts, when compared to conventional pharmaceutical preparations, are tainted by incongruent regulations for reporting of side effects. The manufacturers of conventional pharmaceutical agents are legally bound to record and report any perceived negative experiences during large-scale clinical trials, though there may be no actual link between the tested drug and the perceived side effect. To wit, it is often the case that drugs are labeled with side effects such as headache, constipation, diarrhea, or sleep disturbance. These "side effects" are required to be listed even if they are found with no more regularity than they are in a placebo control group or within the general populace for that matter. Conversely, herbal manufacturers are not required to carry out such clinical studies nor to report any known adverse effects, even if said effects have been directly linked to ingestion of the herbal preparation in question. While these advertising techniques do not negate the potential for some beneficial uses of various herbal agents, and they do not necessarily reflect upon the validity of naturopathic medicine as a field of study, critics suggest that they do serve to beguile the public through the employment of nothing more than legally permissible semantics and selective reporting. Naturopathic modalities may be controversial (e.g., homeopathy), or have proven effectiveness only for very specific conditions (e.g., acupuncture, aromatherapy). Some naturopaths may use these modalities as panaceas or to improve the patient's quality of life. Bastyr Center. 2007. Research studies. Retrieved February 2, 2007. Indianetzone. 2007. Nature cure: History and principles of naturopathy. Indianetzone. Retrieved February 2, 2007. Naturopathic Medicine Network. 2007. Naturopathic Medicine. Naturopathic Medicine Network. Retrieved February 2, 2007. College of Naturopathic Medicine of University of Bridgeport. Homeopathic Academy of Naturopathic Physicians (HANP). UK General Council and Register of Naturopaths. This page was last modified on 13 November 2018, at 17:28.